It's the little things that make the biggest difference, and not everything about Sierra was revealed at the WWDC keynote. Apple’s pitch about Sierra being better about freeing up your disk space (especially on comparatively cramped flash-storage drives) is true, but on stage Apple’s Craig Federighi presented a very simplified version of the concept. The reality is that this isn’t a single feature, but a whole collection of them. 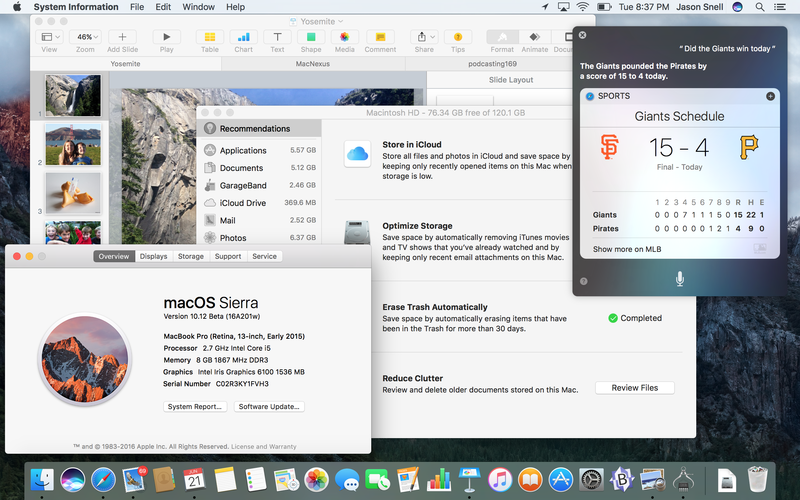 Yes, you can now sync your Desktop and Documents folders with iCloud, and (separately) give your Mac the option of deleting local copies of documents that are also stored in iCloud. 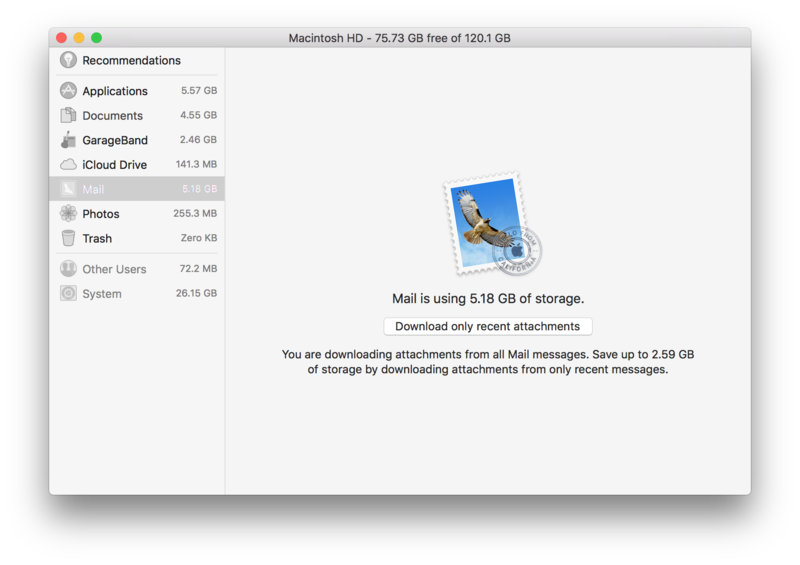 But that’s just one small way Apple is giving the system the opportunity to reduce storage space. There’s an entire new Storage Management window, located in the System Information app, that provides a suite of tools to help you free up disk space. Some aspects of the window are based on turning on or tweaking settings, like how Mail stores attachments and if iTunes should delete video files that have already been watched. You can also set if you’d like items that have been sitting in the Trash for 30 days to be automatically removed. But there’s also a feature called Reduce Clutter that’s reminiscent of a third-party spring-cleaning utility. This feature ferrets out large files in your system–giant iOS device backups (often unnecessary if you’ve moved backups to iCloud), DMG files you downloaded to install software, and the like. Then there are some tweaks Apple is making behind the scenes to save space. If you use Safari to download a file you’ve already downloaded before, Safari downloads the new version and removes the older versions of the same file, so you don’t end up with five different copies of the same software installer in your Downloads folder. The operating system is also more aggressive in cleaning up log files, which most users never see or need, but can take up a lot of room. At the keynote we saw Siri do the usual stuff that Siri can do on iOS, and of course Siri results can be pinned in Notification Center or even dragged out into other apps. But Siri can also perform a bunch of commands that directly affect Mac hardware. As you can on iOS, you can tell Siri to make the screen brighter or darker. You can also tell it to turn Wi-Fi on and off, adjust the system volume, put the Mac to sleep, and start the screen saver. Siri also has access to some system information, like the speed of its processor, how much memory it has, the Mac’s serial number, and how much free space remains on the drive. Apple discussed updates to Photos in the context of iOS, not macOS, but of course Photos for Mac is getting the same new machine-learning-based image categorization as Photos for iOS. 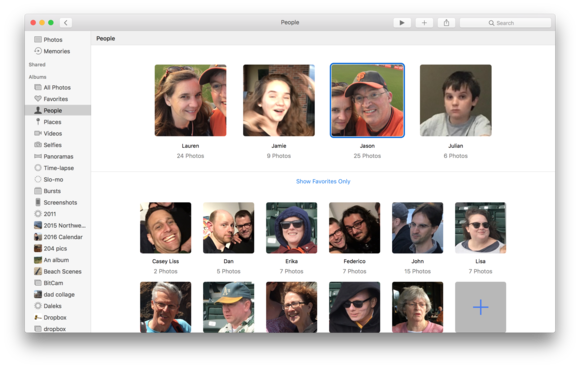 This new feature–which detects scenes, moods, animals, and of course people’s faces–replaces the venerable Faces feature, which has been around since the iPhoto days. Apple says the new face-recognition engine is far more modern and efficient than the old Faces engine was, though in my testing it seemed to not catch as many faces. Let’s hope there’s more tweaking to do there. Photos replaces Faces with People. In any event, Photos now has a new People album that replaces the old Faces window. Photos identifies faces and tries to group the sames faces automatically. If you have pictures of people’s faces attached to their contact information, Photos will use that to try to automatically name them. Otherwise, you can identify faces directly within the People album, by clicking and typing. If the person’s already in your Contacts list, you can add them quickly, but if not, you can just type their name and press Return. Adding an existing name to a set of faces causes those images to merge together, building up the facial recognition database. On stage, Federighi said that Apple Pay works with either an Apple Watch or an iPhone to let you buy stuff on the Web from right within Safari. What he didn’t mention is that since your Mac is aware if there’s an Apple-Pay eligible device within range, Safari can actually be instructed by web pages to show or hide Apple Pay buttons based on a device’s proximity to the Mac. That’s right, if you’re browsing an Apple Pay-enabled web site without your iPhone or Apple Watch nearby, a website can opt to make the Apple Pay button vanish. And then if you bring your iPhone within range, the Apple Pay button can magically reappear. The new Picture in Picture feature in macOS Sierra is basically the same feature as in iOS 9 on the iPad. It’s great because you don’t have to fuss to keep other windows from covering up the video you want to watch. On iOS, you can stick the video in the corners of the screen, and that was demonstrated at the keynote, too. If the corners of the screen don’t work for you, though, have no fear! If you hold down the Command key while moving the Picture in Picture window, you can drop it anywhere you like. Like Photos, all of Apple’s improvements to Messages were covered in the iOS portion of the keynote. While Messages for Mac can’t create most of the cool effects added to iOS 10, it can play most of them back. But one improvement to Messages works both ways: the addition of rich URL previews. Now when you send or receive a message that contains a URL, Messages will load the name (and if possible, an image) of the page you’re referencing and display it in an attractive preview box. That’s way more friendly than a bare URL. iOS 10 features iCloud-based sharing of notes in the Notes app, but guess what? Yep, the Mac gets this feature too. Just click on the Share button at the top of the Notes window and choose your method of sharing–you can send a share link via Messages, Twitter, or even just pop it on the clipboard and do what you want with it. Once someone else is sharing your note with you, they can edit it at the same time you are, and changes show up within a couple of seconds. This should be great for families and friends alike. A new effect in the editing window of Photos is called Brilliance, which does a whole bunch of different things–brightening dark areas, dropping down highlights, and increasing contrast. It’s also been added as a dimension in the automatic enhance tool, changing how that tool behaves. Siri is in the menubar as well as the Dock, and there are new tools in the Storage tab of System Information. 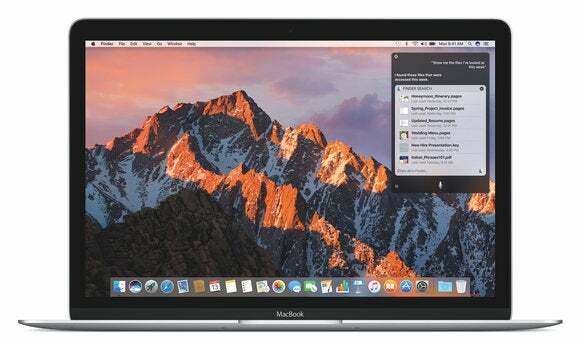 With macOS Sierra, though, some old Macs have finally fallen by the wayside. Losing compatibility this time: iMacs from mid–2007 through mid–2009, MacBooks from mid–2007 to mid–2009, MacBook Pros from 2007 to 2009, Mac minis from 2009, Mac Pros from 2008 through 2009, and the Xserve. Basically, if you’re running a Mac released in 2010 or later, you can definitely run macOS Sierra.